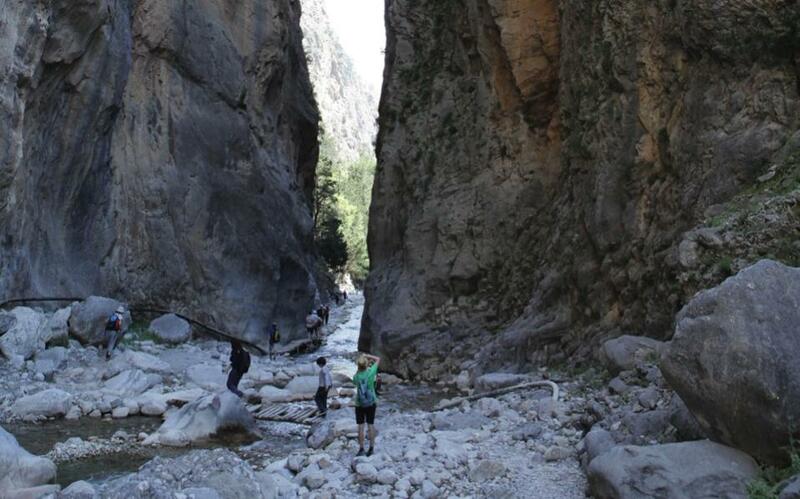 The first 2 kilometers of the trail running through the Samaria Gorge, on the island of Crete, will be opened to the public Thursday. Park authorities, however, said that visitors may be prevented from entering the gorge if weather conditions become too hazardous for safe passage. The northern end of the gorge is expected to open on May 1, allowing visitors to traverse the entire length of the national park. Work is under way to restore the gorge after damage sustained during the winter.